Should you rent or sell your Brookfield IL home? Home Blog Should You Rent Your Brookfield IL Home? If you’ve considered renting versus selling your home, there are many factors to weigh before making such an important decision. According to Nancy Miller, real estate professional with Coldwell Banker Residential Brokerage in La Grange, IL, there are some key things to consider when renting your home. After reading through these points, if you have questions or would like to discuss your unique situation about your home, consider contacting Nancy to get the input of a real estate veteran. First, you need to think about your reasons for keeping ownership of the home. Do you like the home so much that you want to hold on to it in case you ever moved back to Brookfield, Illinois? Are you looking for an extra tax break through property depreciation? Do you want to use the home as a basis for retirement investment? These are all good reasons to not sell your home, but there are factors to consider that may outweigh the perceived benefits. For instance, are you prepared to be a landlord? Have you considered hiring someone to maintain and manage the property for you? 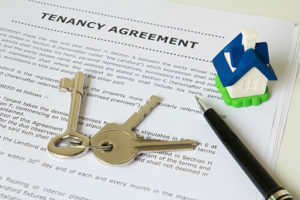 There are many other costs involved as well, such as advertising costs, turning costs (cleaning and painting between tenants), property taxes and insurance, utilities paid when your property is between tenants, and accounting costs. In order to assess these costs, you should research the numbers in your market. Expenses often run 30 to 40 percent of income before the monthly mortgage cost – but you’ll find many expenses are tax deductible. Okay. You’ve decided to rent out your home in Brookfield, IL, where do you start? First, get the house in shape in order to get the highest reasonable rent. Nancy Miller, La Grange real estate broker, has over 25 years in the industry. Lean on her expertise to determine what some of these home improvements might be, and what a reasonable rent amount might be in the Brookfield, La Grange, Western Springs area. This may include interior and exterior patching and painting, carpet cleaning or replacement, appliance tune-up and cleaning, adequate insulation to cut down on utility bills, and fixing whatever needs fixing. It’s also quite possible that your property is already there, and ready to rent! Then, set the proper rent. Location rules when setting prices. Nancy Miller can assist you in renting your home, and can get you in contact with a property management company to maintain everything for you, should you decide to rent your home without the hassle. Nancy can also assist you in researching prices in your area. If you set your price too high, it’s unlikely that you’ll find a tenant. If you ask for too low a rent, prospective tenants will wonder what’s wrong with the property. Keep it reasonable – keeping your costs in mind – and consider it rented. So, we’ve mentioned it a couple times already. 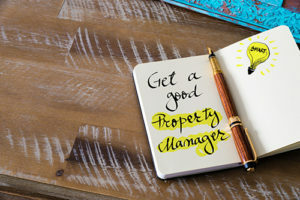 It’s not absolutely essential to hire a property manager, but it can make your life a little easier, especially if you are moving out of the Brookfield, Illinois area. Interview at least three different companies, and be sure to ask about accreditation, experience, customer service, references, tenant screening, vacancy rates, maintenance, monthly reporting, eviction handling, insurance, fee structure, property inspection, and any special services they offer. If you’re uncertain or want more information, there are other resources to turn to. If your property is in Cook County, Illinois, the Housing Authority of Cook County provides an excellent starting point. Whether you reside in another part of Brookfield, are in nearby La Grange Park or Hinsdale, have moved to the other side of Cook County in Schaumburg, IL, or have left Illinois altogether and moved across the country, knowing that your home is being taken care of in the best possible way, can bring you the piece of mind you’d want in the situation. So do your homework, work with an experienced real estate professional like Nancy Miller of Coldwell Banker Residential Brokerage – La Grange, set your rental price, and start enjoying being an investor.